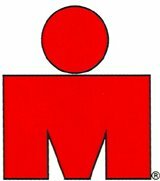 After running the Boston Marathon last week I came across this very interesting website. I found this website to be almost humorous. Why would someone want to do this to someone who has accomplished so much and second of all beat cancer. This person has way too much time on his or her hands. If they want to investigate doping talk to this man. I just find it hard to believe that people still do not lance. He is an accomplished athlete and there are no signs that he cheated so I do not see why people still try and take him down. I just wanted to make this post in response to this website.